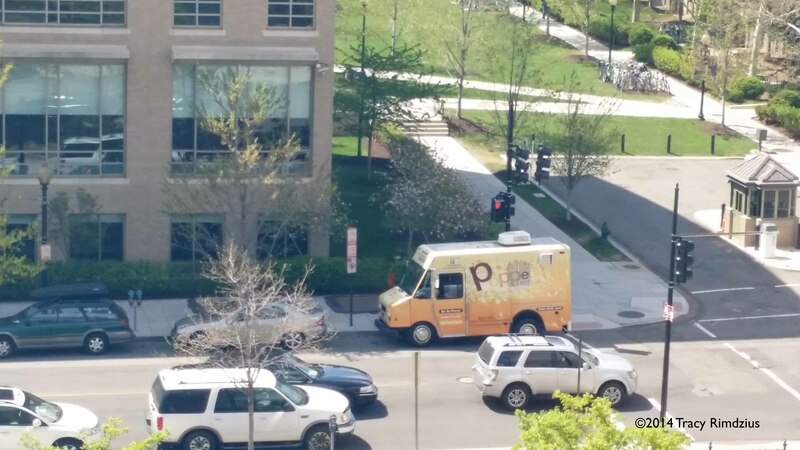 But no, it was a snack miracle…right outside my office. I made a meal out of a small bag of their Kettle Corn (all of their popcorn flavors have cute “D.C.-related” names, so it’s actually “K Street Kettle Korn”) and now usually go through a medium bag of this stuff per week. It’s sweet, it’s salty, it’s crunchy, it’s available right outside my office most Wednesday afternoons! What’s not to love? 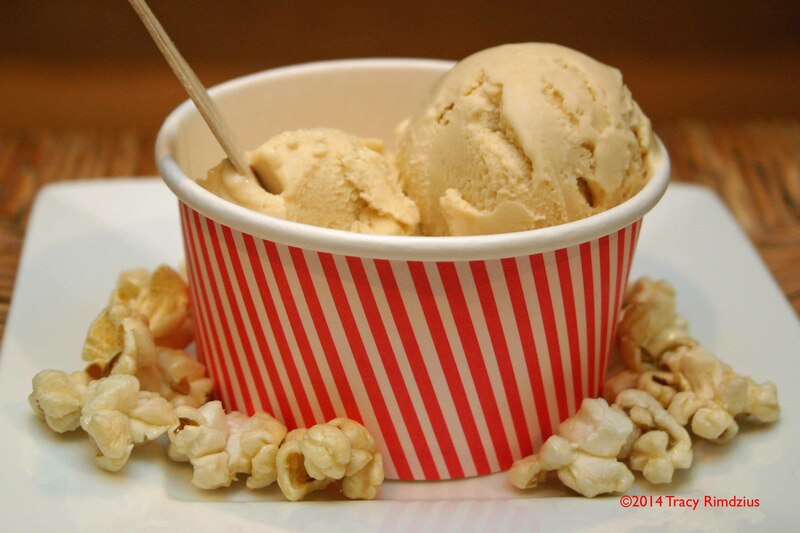 Inspired by my love of this Kettle Corn, I developed an ice cream recipe to replicate the flavor. The description of Kettle Corn on Popped! Republic’s website says “white sugar, salt and corn oil.” No way was I going to waste their kettle corn, so I popped up some corn myself using a tiny amount of corn oil, steeped the popcorn in the dairy, and lightly caramelized the sugar. It took a couple of tries to get it right, but the final result was the perfect combination of sweet and salty. Make this ice cream by steeping popped corn in the dairy for an hour, then strain out the popcorn (squeezing as much of the flavored liquid back into the mix as possible). I weigh the mix before and after the straining step, so I can replace the amount of dairy that is lost (soaked up by the popcorn). To replicate the flavor of kettle corn, it’s important to only lightly caramelize the sugar. This takes a burner on low and patience. Once the sugar is lightly caramelized, remove from heat, add the popcorn-infused dairy and whisk until smooth or until you get carpal tunnel. You may have to whisk over low heat to melt any hardened sugar.